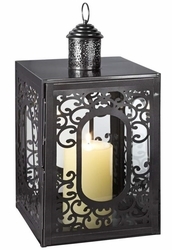 Add the romance of candlelight with this wonderful iron openwork lantern. Old-fashioned candlelight is undeniably romantic! 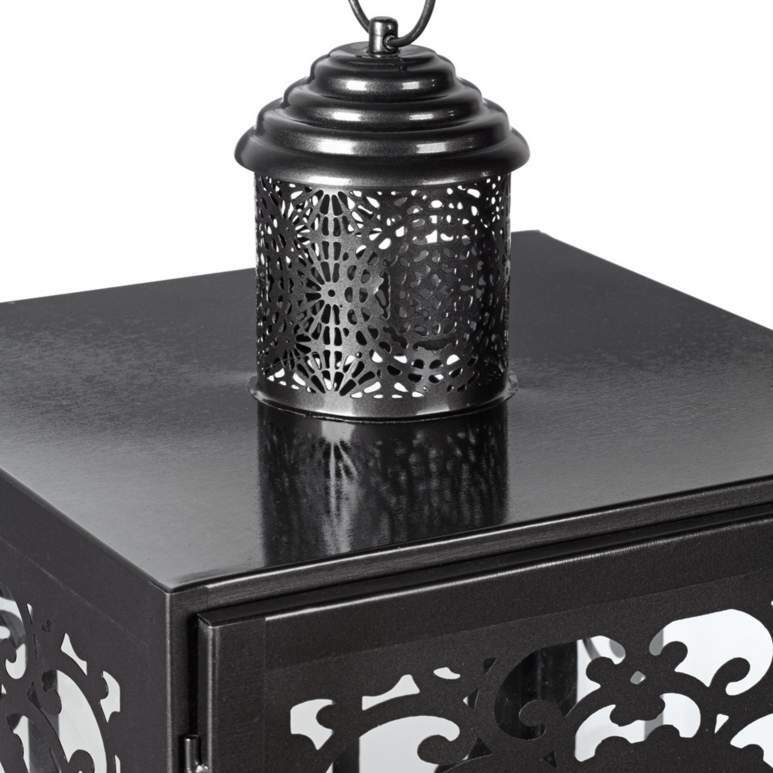 This lantern is perfect for setting the mood. Elegant openwork and a matte nickel finish offer a fetching frame for a flickering flame in this lantern candle holder. It's the perfect accent piece for a romantic dinner on the deck. Treat yourself to an alone time with dream lights . . It is simply magic. • Iron construction with openwork detail. • Holds 1 pillar candle (not included).